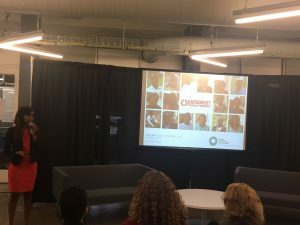 OpenIDEO and the GHR Foundation announced Producers Direct as one of 5 winners of the 2018 BridgeBuilder Challenge. 675+ ideas were initially submitted to address urgent global challenges in radically new ways. 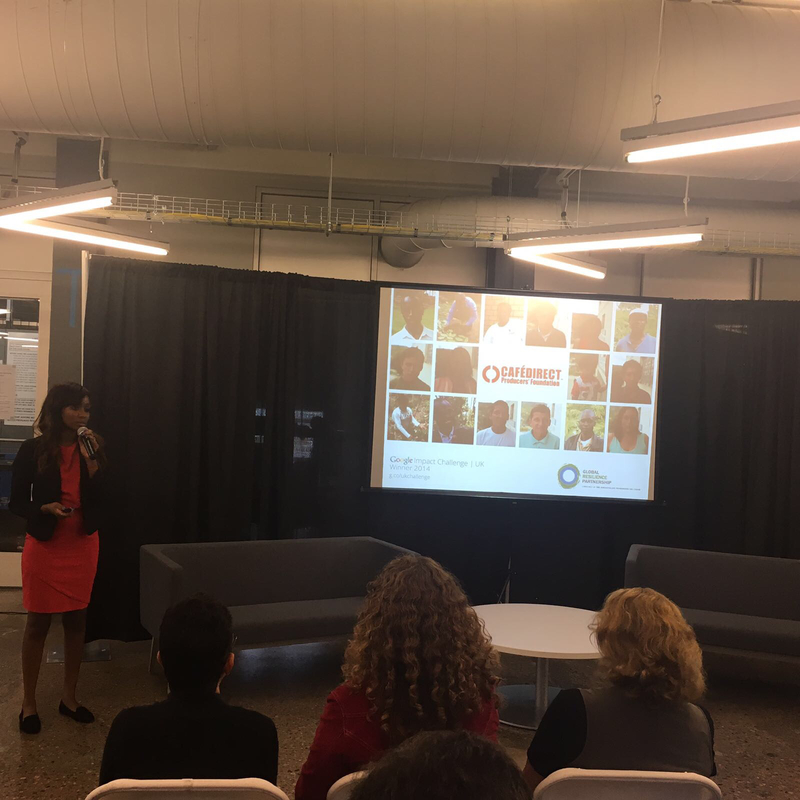 As one of the 5 winners, Producers Direct was awarded $256,575 in seed funding to launch YouthDirect, a youth-led agricultural enterprise. The future of food is at risk, as is our planet. By 2050 our population will reach 10bn. Food production will need to increase by 70% to match this growth, placing significant strain on limited resources. 500m smallholders are responsible for producing 70% of the world’s food supply, but they are ageing, with the worldwide average over 60 years. With growing populations, we are also seeing increasing youth unemployment. In the next decade, 1 billion youth will enter the job market. 600 million of them will not find jobs. Over the next 24 months, Producers Direct will utilise seed funding to launch a youth-owned food brand: YouthDirect, transforming food production and food value chains from the ground up. YouthDirect will empower the next generation of agripreneurs. It will initially work with a group of 5,000 youth and local farming cooperatives to promote inclusion in global food systems, providing a viable – and sustainable – livelihood for young people, while safeguarding the future of food and planet. 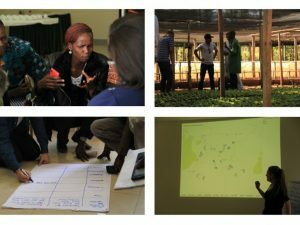 We are seeking an enthusiastic User-Centered Developer to work with our award winning NGO supporting smallholder farmers in East Africa and Latin America to access, understand and interpret data to make life changing decisions on their farms. We are seeking an enthusiastic User-Centered Developer to work with our award winning NGO. Producers Direct works with 600,000 farmers in East Africa and Latin America and is led by farmers, for farmers. By co-investing with this network, Producers Direct is creating lasting and vital impact with the farmers who grow 70% of the world’s food. You will work with our small, but dedicated, team across UK, Kenya and Peru, and be based in either our London or Nairobi office. You will deliver a user centered design approach to develop a platform (incl. 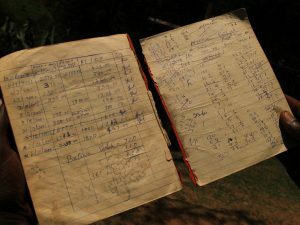 analogue and digital components – such as paper logbook, apps and dashboards) that integrates analogue and digital data collection, and provides usable and actionable data insights for smallholder farmers. This is a great opportunity to use your UX and software development skills to support farmers to access, understand and interpret data to make life changing decisions on their farms; making a real impact on farmers’ lives. As a small charitable organisation, we don’t have huge resources. However, we can offer you: a dynamic, creative and rewarding working environment; Salary commensurate with experience; 6-month fixed term contract with potential for extension based on results; flexible PT or FT working options; hands on experience and responsibility from day one; the opportunity to travel and work with smallholder farmers in rural East Africa and Latin America; and the chance to make a real impact in a small, but ambitious organisation! 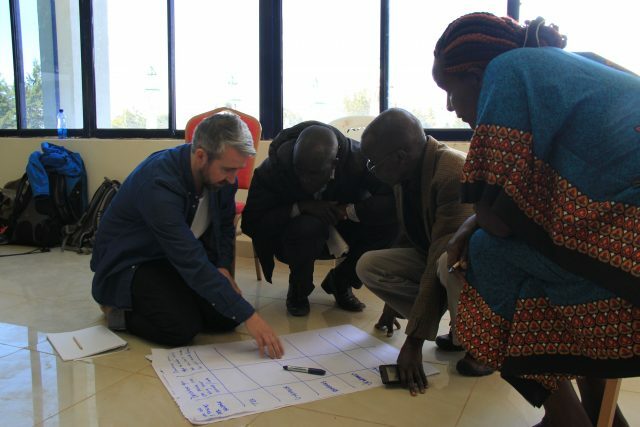 In your cover letter, please include one paragraph addressing the following question: How would you work with farmers in isolated, unconnected rural settings to co-design tools that can help analyse on-farm data and make decisions based on the analysis. Although many agree that the stakes are higher than ever, political wrangling over how to approach climate change seems to continue unabated. Despite this, smallholder and indigenous communities across the world are responding robustly. Using their expert knowledge of the land, these communities have quietly been developing a range of innovative approaches that not only help mitigate the effects of climate change but also conserve some of the world’s most important environmental resources. The smallholder farmers that make up Kayonza Growers Tea Factory Ltd are spread across the perimeter of Ugandas Bwindi Impenetrable National Park. A UNESCO World Heritage site, the forest is one of the oldest, richest ecosystems in Africa and holds half the world’s population of the critically endangered mountain gorillas. Unfortunately, however, as over 90% of community members are dependent on locally-sourced wood for energy, deforestation rates are high. Also, as the effects of climate change have seen increased temperatures, altered rain patterns, and extended droughts, the farmers in this rich, beautiful landscape have faced numerous challenges to their livelihoods. This means that farmers, that have hitherto relied on tea as their main source of income, are now faced with a growing frequency of crop failures. Combining this with a variety of other factors, such as price volatility, has led to a situation where at least 70% of a resource rich region lives on less than $2 a day. These efforts have now been rewarded with Kayonza being awarded the Equator Prize. Announced in September 2015 by UN officials and Academy Award-nominated actor and activist Alec Baldwin, this prestigious honor is bestowed on a range of indigenous community-based efforts to reduce poverty, protect nature and strengthen resilience in the face of climate change. Being awarded the prize comes with $10,000 USD prize and was celebrated at an event in Paris. Name: Kayonza Growers Tea Factory Ltd. The journey to winning the Equator prize began in 2010 when Kayonza, working in partnership with Producers Direct and CIAT, began programmes aimed at tackling a broad range of issues required for their communities to adapt to climate-related stresses. Operating within a landscape where livelihoods, agriculture and biodiversity conservation are all high priorities is no easy task. However, by using an inclusive, holistic and community-led approach they have been able to simultaneously combat the financial concerns of the community and confront local drivers of climate change. From the outset of the programme, farmers took leadership by identifying challenges they were facing, assessing the extent to which these were related to changing climatic conditions, and identifying their own ideas and solutions for tackling them. Kayonza added existing data and climate modelling to this and developed these ideas into a strategic action plan. 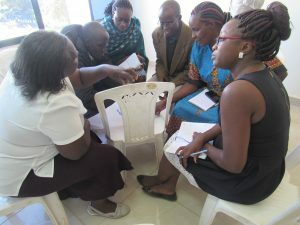 The resulting activities were implemented through a farmer-led training model where farmers and other community leaders were nominated to be trained as trainers. These trainers held responsibility for organising and running training and other implementation activities with their peers. The results of this strategy have been incredibly impressive, with over 4,800 households already benefitting from the strategy. Upwards of 4,000 farmers, across 52 high value ecoregions, have been trained in conserving wetlands, riverbanks and natural forests. Through this and the installation of rainwater harvesting and gravity flow water systems there has been a dramatically improved access to clean water for Kayonza’s farming communities. To combat deforestation, over 20,000 indigenous trees have been re-planted across farm borders and degraded hillsides. Added to this, low energy stoves and other efficiency measures have led to a reduction in local fuel wood consumption. These measures have been scaled-out across households, and as well as cutting down on the use of locally sourced firewood have reduced smoke inhalation and time spent by women collecting the fuel. Kayonza has encouraged their farmers to pick and deliver quality tea to the factory. This has translated into much higher market prices for their tea when compared to other tea factories in Uganda. Direct household incomes have also increased due to the development of kitchen gardens. These have been particularly effective and have resulted in income increases of up to 20%, derived from selling surplus vegetables and herbs to local markets. These kitchen gardens and on-farm fruit trees have also heralded drastic improvements to family nutrition, through the diverse range of nutritionally rich fruits, vegetables and herbs made readily available. Combined, these benefits are enhancing community resilience and the ability of farmers to respond in the event that their tea crop fails due to extreme weather or pests. Deservedly, Kayonzas achievements have been widely recognised both in Uganda and internationally. With the support of Producers Direct other tea factories in the region have been able to send their farmers for exchange visits to learn a range of environmental techniques and how to encourage their farmers to pick quality tea and. Kayonza has been able to successfully demonstrate the business case for smallholders to take up this approach to climate change adaptation. Improved energy efficiency and enhanced volumes of tea production have seen tangible, income benefits for their members and it is hoped that these techniques can be rolled out to other organisations and cooperatives across the region. Kayonza is located in one of Uganda’s most biodiverse ecosystems. Significant pressures on wildlife and other natural resources have been driven by growing rural populations, dependent on farming for their livelihoods. However, Kayonza is a great example of how smallholder farmers can innovate to overcome the challenges they face. This is proof of the value of Producers Direct’s mission to empower and mobilise smallholders as key actors in delivering climate adaptation and mitigation strategies within their community. Globally, smallholders are recognised as one of the most effective ways to lift billions out of poverty and reduce hunger, but they are also the stewards of much of the world’s most precious environmental resources. While the rest of the world tos and fros about how best to tackle climate change, smallholder communities, such as those at Kayonza, are not waiting around to see their livelihoods and environment destroyed. Instead they are quietly taking the initiative to go about making positive change that will enable their communities to thrive within the natural limits of the planet. Through our work with the Global Resilience Partnership (GRP) we have been working with our partners, Kijabe Environmental Volunteers, (KENVO) to facilitate an exchange programme among youths groups in Uganda and Kenya. This programme enables young farmers from different regions to: swap farming innovations, ideas and knowledge with one another; identify partnership opportunities, share stories and examples of the challenges they face; and collaborate on solutions. The first step was to convene a “Local Youth Exchange Programme”. This was hosted at the Centre of Excellence (CoE) in Sireet and brought together youth members from the local Nandi Hills region with visiting youths from Kijabe. The Sireet youths were able to interact with youths from Kijabe, who are also involved in farming activities. They shared various farming techniques, advice and knowledge with each other as well as the challenges they face as young farmers. It also also them to interact socially, to form connections and encourage each other to be successful as young farmers. The Regional Youth Exchange was then held. This entailed youths from Sireet and Kijabe travelling to Uganda to visit Kayonza’ s CoE youth members. 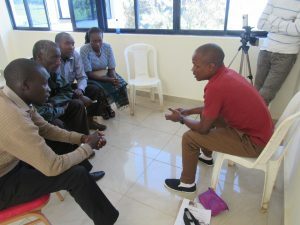 This again allowed them to share farming ideas, innovations, and challenges that they face, and find space to identify various farming partnership opportunities amongst themselves. The youths from Kenya were able to witness a wide variety of youth farm enterprises, including the youth-led CoE demonstration-sites. As well as learning about how Kayonza youths are farming fish and keeping poultry, the visitors were also shown how local specialities of banana and pineapple wine were being turned into products that are helping to diversify the incomes of these youth groups in Kayonza. The Kenyan youths were very encouraged to see this, and spent a lot of their visit coming up with ideas on how they could create value addition for other crops back at home: coming up with plans for products such as banana crisps, and sweet potato flour. They were also excited to see the coffee academy which acts as a youth-led coffee farm training centre giving visitors insights into coffee growing practices such as weed control through mulching, coffee variety selection, the holing process and the coffee planting calendar. During the visit, as the Kenyan and Ugandan youth groups exchanged their thoughts and insights, it became apparent that challenges such as lack of loan facilities, market linkages and climatic variations, were universal across all the regions. This enabled them to brainstorm a few ideas on how they might be able to address these challenges together. Out of this arose a plethora of ideas: such as developing a youth-group savings culture that would enable the youth-members to borrow and lend back money to members; a stakeholder forum that would enable youth groups to identify partnership opportunities and markets for their enterprises; and, lastly, a training needs assessment that would enable them to identify enterprises which they can share between them, and identify specific farming skills that are lacking or needed within the network. In a context where young people are increasingly leaving the rural areas to travel to the city, finding ways in which to engage young people to stay involved in rural communities is vital. This programme has already seen some great results and it is exciting to see the innovative ideas young people come up with. We will follow their progress closely to see what comes out of these exchanges. Digital Farm has well and truly become Producer Direct’s next exploration into the use of technology in smallholder communities. After successfully launching WeFarm and becoming the first charity to secure VC funding for a for-profit subsidiary, Producers Direct has seen how farmer-led tech can gain serious traction (at the time of writing WeFarm has over 250k users), and have a real impact on the livelihoods of smallholder farmers. Digital Farm: uses Internet of things technology to provide smallholder farmers with accessible, affordable and applicable data. Although shrouded in its use of lots of jargon and techie speak, the concept behind Digital Farm is quite simple. By introducing simple sensors – the kind now commonly found in fitbits and self-watering plant pots– to regular farming tools, smallholders farmers can access real-time, accurate data. As well as directly enabling them to use data to respond to numerous challenges Digital Farm will empower these farmers to claim ownership over their own information. 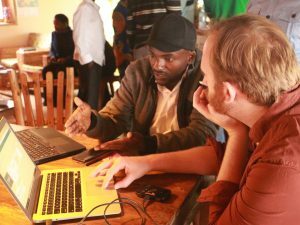 With an initial grant from Nominet Trust, Digital Farm has been working with Nairobi based Intellisoft Plus out in the field to test prototypes, speak with farmers and devise solutions together. 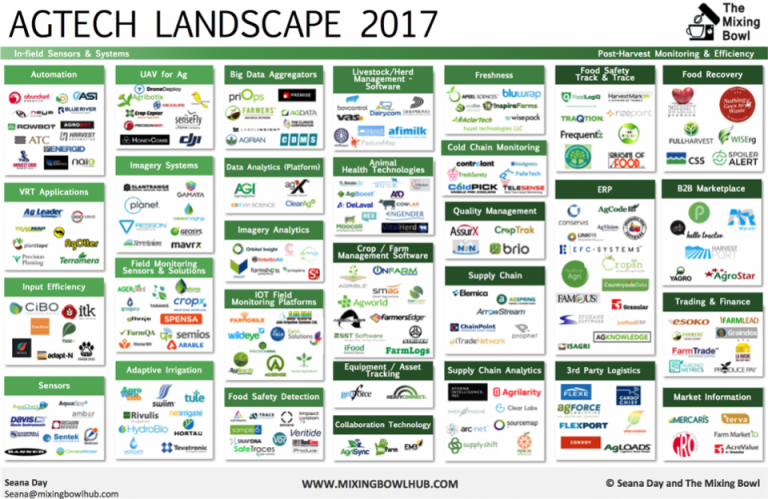 We pride ourselves on being farmer-led, not tech-led, meaning we are not seeking the newest or most innovative tech. Instead, we are working directly with farmers to identify their greatest challenges and develop and deliver solutions that they can work with. By running numerous user-centred workshops and brainstorming sessions with farmers, it has become apparent that IOT is indeed a great opportunity to connect farmers to the data generated on their farms. Kits investigating soil moisture and rainfall data should help smallholders improve water management in the face of climate threats, and support them to diversify their farms. This in turn enables them to build their productivity leading to improved livelihoods for them and their communities. There are plenty of tools out there already (Pycno, Sensoterra etc.) that achieve great results. These tools are well made, effective and have already demonstrated their usefulness in the market. However, many of these existing tools focus on commercial farmers with much more of a familiarity with using, and access to technology. 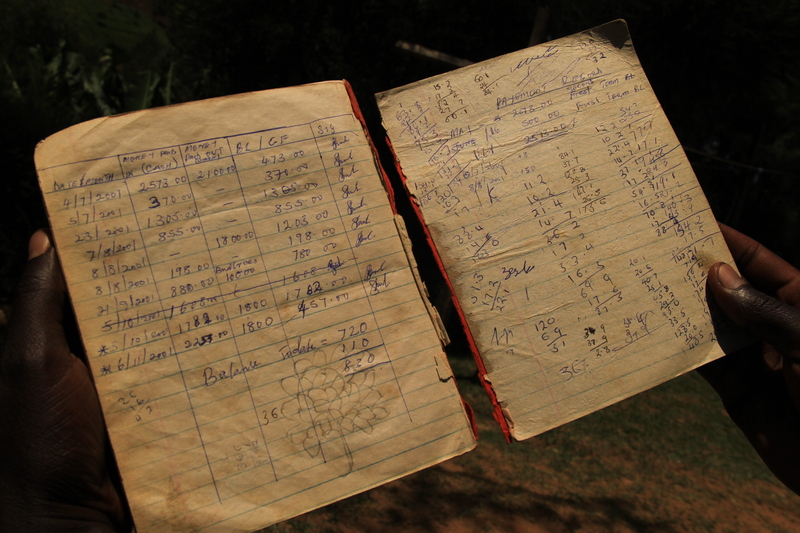 They are also often priced at a point too high for small-scale farmers with a household income of ~$5 per day. Therefore, in order to ensure that these tools are truly accessible to smallholder farmers Digital Farm has, just like with WeFarm, set itself the challenge of addressing the problem of making the ‘internet of things’ accessible to farmers without access to the internet, limited technological capability and only a feature phone to rely on. 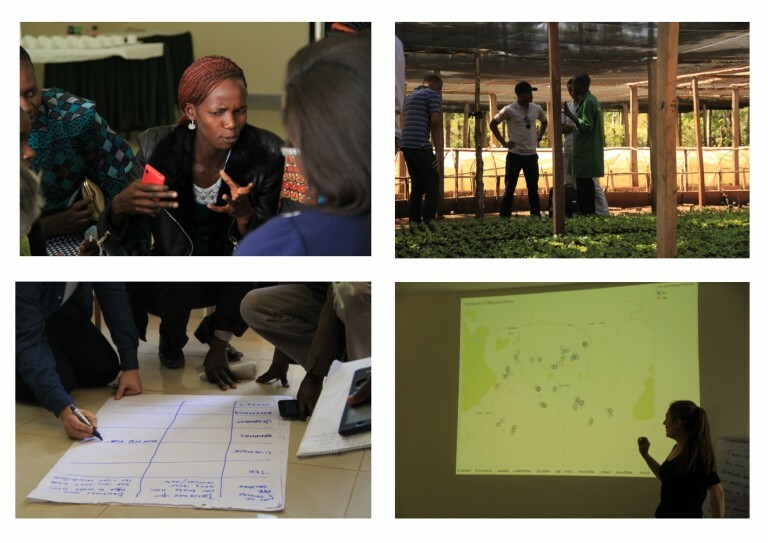 This remains a design challenge for Digital Farm, but with our network of dedicated promoter farmers and youth agents we have made great strides in the initial stages of exploration. After applying online, Digital Farm was selected as a “top idea” of a challenge run by OpenIdeo, in partnership with Good Company Ventures (GCV). 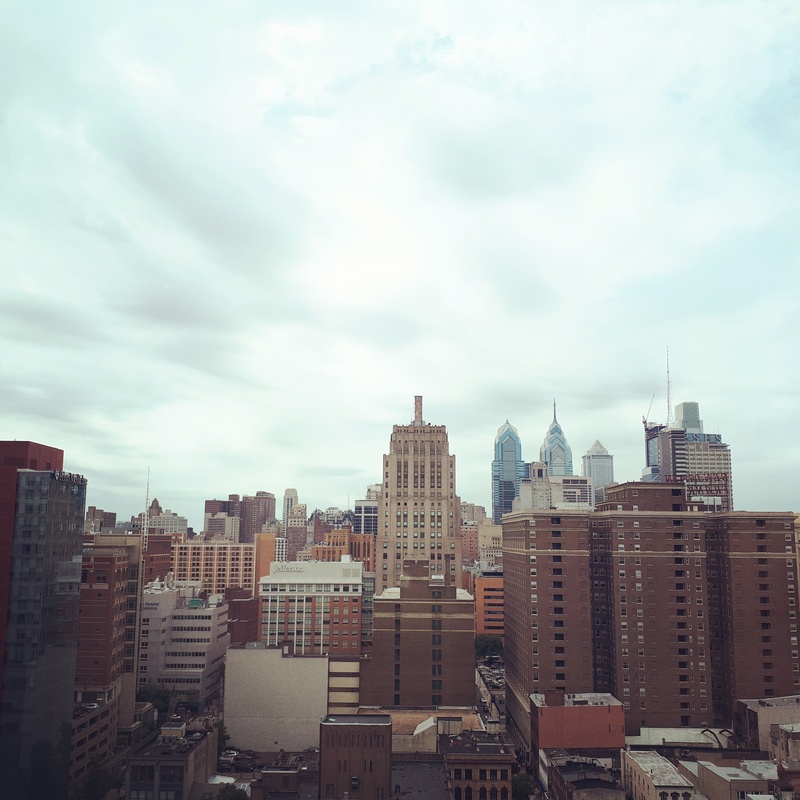 This challenge sought out “new technologies to make agriculture and water systems more resilient in the face of climate threats” and offered Digital Farm the opportunity to attend a 12-week accelerator program in with GCV in Philadelphia. 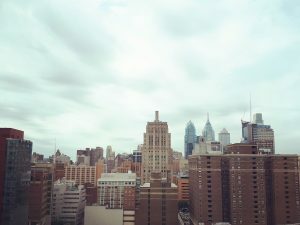 Housed at the trendy and vibrant Benjamin’s Desk co-working space, just around the corner from Independence Hall where the US constitution was signed, two Producers Direct team members have alternatively travelled to Philadelphia throughout June and July. Joining 9 other companies, they have been attending a programme set to help Digital Farm refine its idea, improve on its business model and further explore the design of the project. It has certainly does this. The program has helped forced Digital Farm to think outside the NGO box and to explore it as a business idea with the potential to impact millions of smallholder farmers across the world. During weekly peer review sessions the team have been given the opportunity to put ideas to the test and engage in debate with people working on similar ideas. 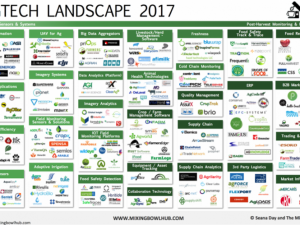 This has provided receive a lot of useful feedback, challenged assumptions and helped Digital Farm frame itself within the wider eco-system of products and services available. The course has effectively provided Digital Farm with a crash course on how to take a great idea into a winning business. Being the only NGO within the cohort of companies, it is fair to say Producers Direct occasionally stands out like a sore thumb. However, this has also meant the team have been able to hone their thinking and identify strengths, weaknesses and areas that needed further work in a space where innovation and technology is driving things forward rapidly. 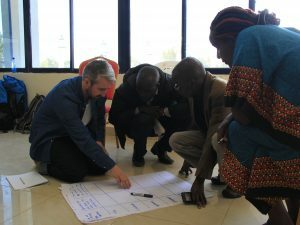 This has led to the realisation that, while the technology that Digital Farm is putting forward is not as advanced as some, our network of over 280,000 smallholder farmers and our farmer-led model is a huge selling point and demonstrates not only the ability to ensure uptake of the tools but also a route to scale. As the programme comes to an end, the team can reflect on what has been learnt and how this thinking can be taken to inform the next steps for Digital Farm. It is clear that in a space crowded with highly talented technology entrepreneurs, Digital Farm’s unique farmer-led approach and strong existing network will be key to its development. By creating ways in which complex tools and technology can be accessed by smallholder farmers and remaining true to its farmer-led approach, Digital Farm will be able to empower smallholders to own and use data from their farms and build their livelihoods. Digital Farm looks forward to more extensive piloting of the tools over the next few months – assessing ways to feed information back to farmers and ensure they are able to make valuable informed decisions.